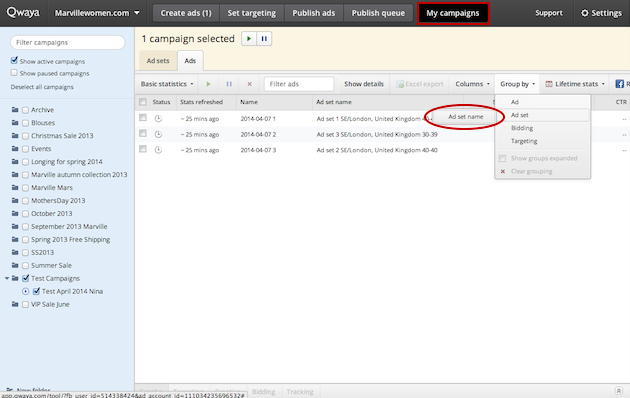 If you have multiple ad sets in one campaign you can look at the ads for one of the ad sets by selecting the ad set and click on the Ads tab. 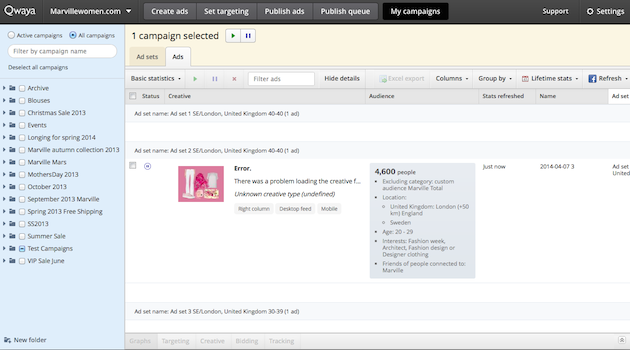 In the Ads view you can also see what ads belong to what ad set. Please navigate to the Ads view. Click on the Group by drop down and select to group by Ad set and Ad set name. Click on the ad set name in order to expand the group and see the ads in the ad set. You can bulk select ads by using shift on your keyboard.